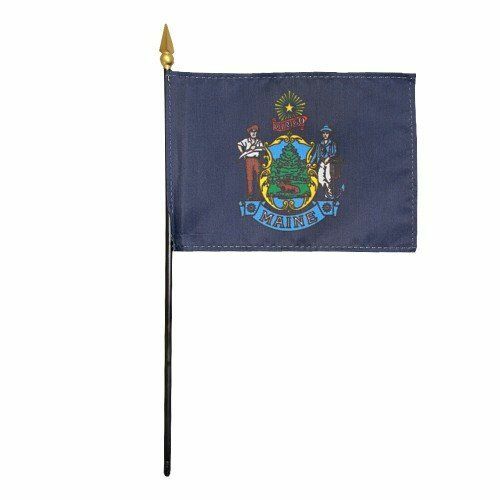 AmericanFlags.com is proud to carry Maine State Flags in a variety of materials, and styles, in sizes ranging from 4 IN X 6 IN to 12 FT X 18 FT. All of our Maine flags meet official specifications, are on sale right now and are ready for immediate shipping to your door. 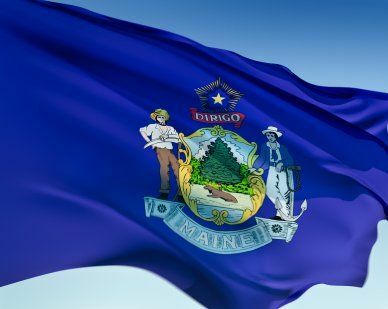 The Maine State Coat of Arms is pictured on the state flag against a field of blue that is the same shade as the blue on the United States flag. A farmer and a seaman appear on the flag flanking the seal as symbols of the work that people did in early times. 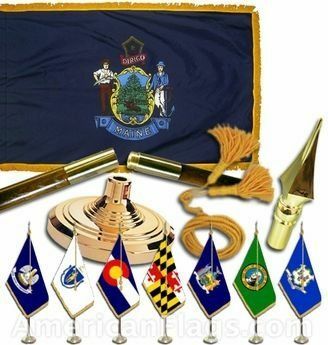 Above the shield is the state motto, "Dirigo," which translates to "I Lead." 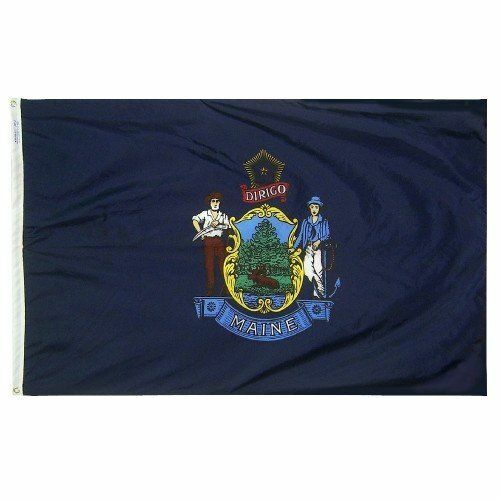 The Maine state flag was adopted for official use in 1909.